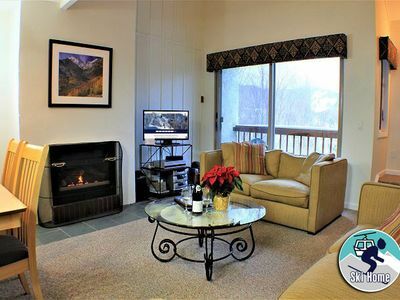 Nestled just across the street from the ski lifts on Killington Peak, this gorgeous updated 1 bedroom, 1 bathroom condo will serve as a charming home away from home for any visitors to the Killington area. 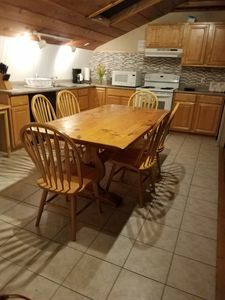 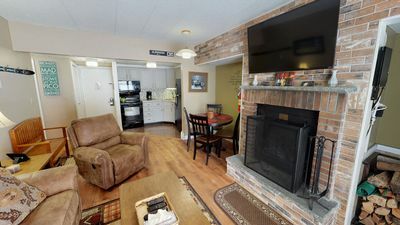 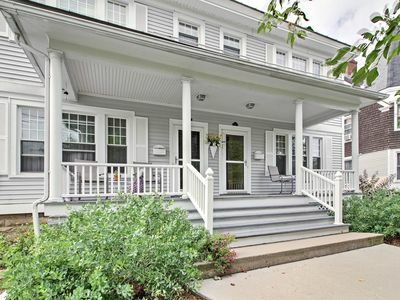 Enjoy the open layout of this condo, outfitted with quaint decorative touches of brick, high-quality furnishings, homey accents, and modern amenities like free Wi-Fi to make your stay that much more comfortable and enjoyable. 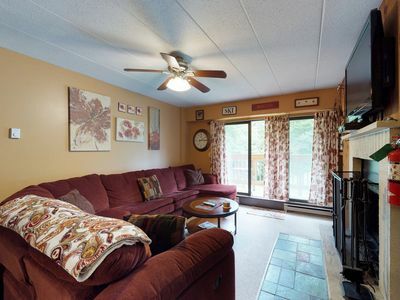 Kick back in the living room, which includes a flat screen smart TV, a DVD player, a cozy brick fireplace, and a queen-size fold-out sleeper sofa with a memory foam mattress for additional guests. 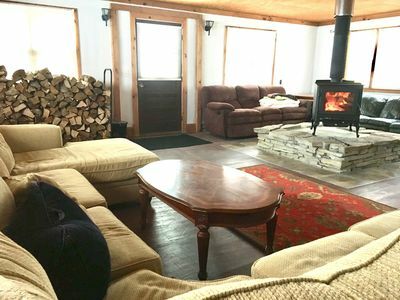 Plan a movie night with guests or simply enjoy one another's company and conversation by the light of the fire on a chilly night. 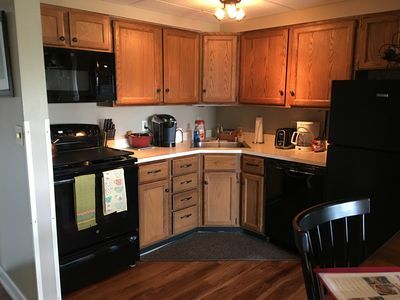 Whip up a home-cooked meal from scratch or reheat your scrumptious leftovers from one of the Killington restaurants nearby using the array of upgraded appliances in the full-sized gourmet kitchen. 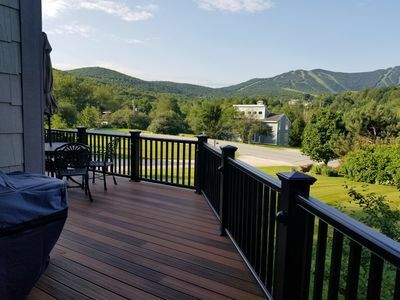 Soak up the views from the open-air patio, which looks out onto the serene landscape of Killington, including distant Vermont mountains and lush trees. 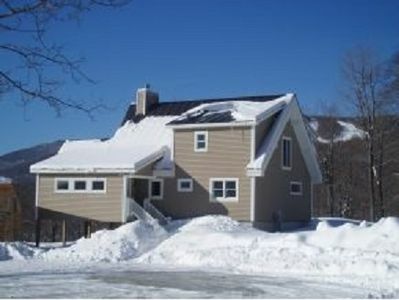 Wind down from a long day of fun at Killington Golf Course, Killington Snowshed Lodge and lifts, Killington Peak, or Killington Snow Tubing Park by relaxing in the comfort of the master bedroom, which features its own flat screen TV for falling asleep to your favorite show or waking up with the morning news. 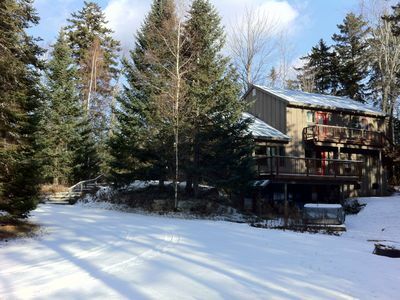 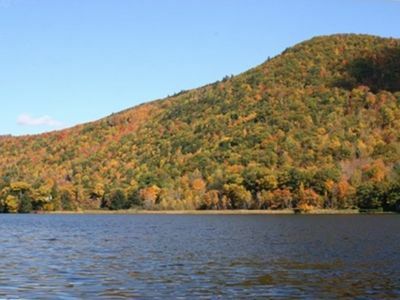 In between experiencing what Killington has to offer, you can enjoy the onsite amenities at Mountain Green Resort. 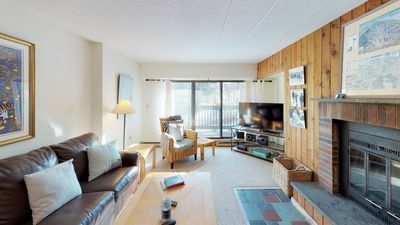 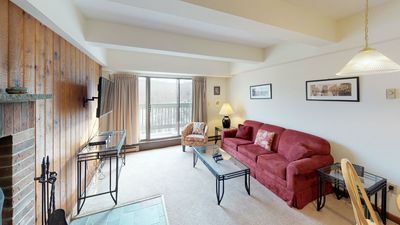 Reserving your stay in this condo means that you and your guests will have complimentary membership to the resort spa and its plethora of amenities available during the skiing season, such as 2 hot tubs, a steam room and sauna, a full gym and locker room with showers, a racquetball court, and a 54-foot indoor heated pool. 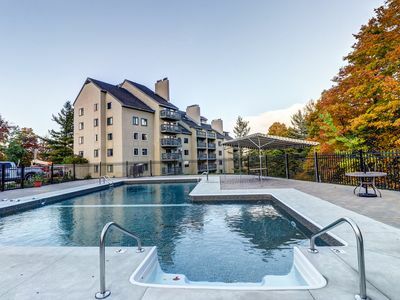 The indoor hot tub and pool are generally open during Thanksgiving weekend until Easter weekend, though hours and days are subject to change. 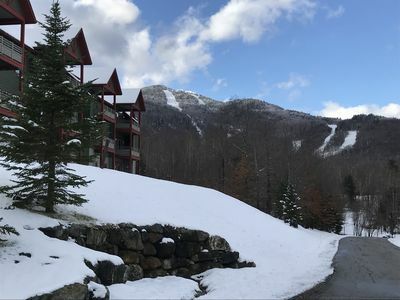 The resort also offers Black Dog Ski Shop for equipment rentals, an arcade, and a restaurant and bar onsite, all open during the skiing season. 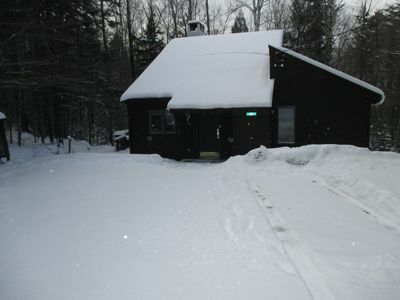 In particular, the restaurant is open generally beginning on the week of Christmas through the end of March, with varying dates and hours of operation. 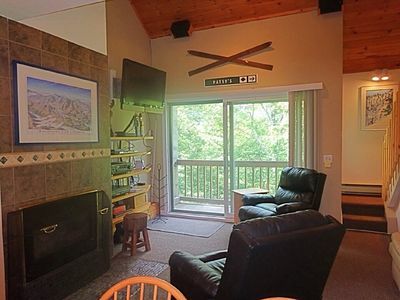 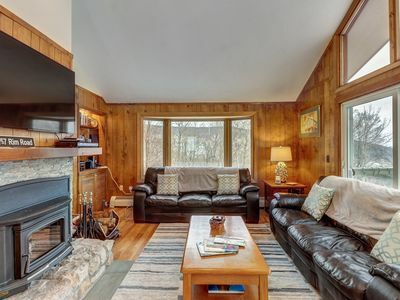 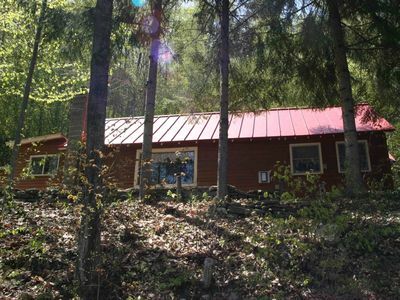 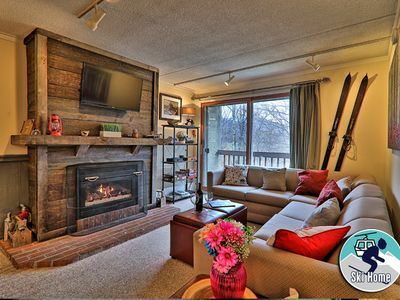 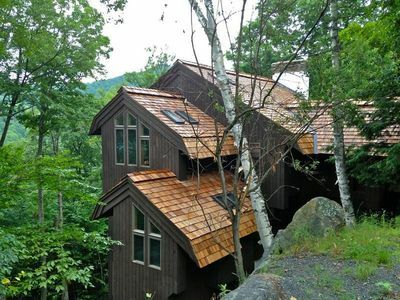 Gorgeous cabin with mountain views, near gondola & nature - walk to ski slopes!